NARF represented forty plaintiffs: the Nez Perce Tribe; the Mescalero Apache Tribe; the Tule River Indian Tribe; the Hualapai Tribe; the Klamath Tribes; the Yurok Tribe; the Pawnee Nation of Oklahoma; the Sac and Fox Nation; the Santee Sioux Tribe of Nebraska; the Tlingit and Haida Indian Tribes of Alaska; Aleut Community of St. Paul Island; Bad River Band of Lake Superior Chippewa Indians; Bois Forte Band of Chippewa; Cachil Dehe Band of Wintun Indians of Colusa Rancheria; Confederated Salish & Kootenai Tribes; Confederated Tribes of Siletz Indians; Grand Traverse Band of Ottawa and Chippewa Indians; Kaibab Paiute Tribe; Kenaitze Indian Tribe; Kickapoo Tribe in Kansas; Lac Courte Oreilles Band of Ojibwe; Lac Du Flambeau Band of Lake Superior Chippewa; Leech Lake Band of Ojibwe; Minnesota Chippewa Tribe; Native Village of Atka; Nooksack Indian Tribe; Prairie Island Indian Community; Pueblo of Zia; Qawalangin Tribe; Rincon Luiseno Band of Indians; Samish Indian Nation; San Luis Rey Indian Water Authority; Sault Ste. Marie Tribe of Chippewa; Shoalwater Bay Tribe; Skokomish Tribe; Spirit Lake Dakotah Nation; Spokane Tribe; Summit Lake Paiute Tribe; Tulalip Tribes; and Ute Mountain Ute Tribe, in this action filed in the federal district court for the District of Columbia in December 2006 seeking full and accurate accountings of their trust funds. Such accountings never have been provided by the federal government which is the trustee for the funds. Pending before the court is the government’s motion to dismiss the action for lack of jurisdiction, which the tribes have opposed. In 2009, the tribes represented by NARF in this case were among the over 90 tribes who wrote President Obama regarding his campaign promise to resolve equitably all Indian trust fund mismanagement litigation against the federal government, by beginning settlement negotiations in this case and other tribal trust cases. 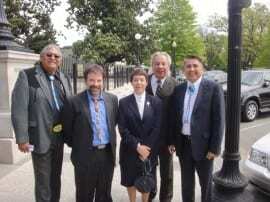 In 2010 and 2011, NARF attorneys along with the attorneys for dozens of other tribes litigating trust accounting and mismanagement claims coordinated and attended many meetings hosted by the President’s appointees in Washington, D.C. in preparation for settlement negotiations. 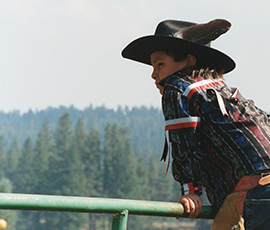 In December 2011, active claims settlement negotiations on a tribe-by-tribe basis began for many tribes. To date, 38 of NARF’s client tribes in this case have reached settlement agreements or other resolution of their claims with the United States. The settlement agreements have been filed in, and approved by, the court. Per the settlement agreements, once the tribes have received their settlement payments their claims are dismissed with prejudice. NARF continues to represent its remaining client tribes in this case in their on-going settlement negotiations.